When you have a protective mother like Yelena Sharapova, you’re less likely to catch a disease like skin cancer. Yelena taught her daughter, Maria Sharapova, to never spend too much time in the sun when she was still a young girl. She made sure Maria used sunscreen to protect her from Florida’s harsh sun. Naturally, this skincare routine stuck with Maria even when she grew up, and is one of the biggest reasons behind her flawless complexion. 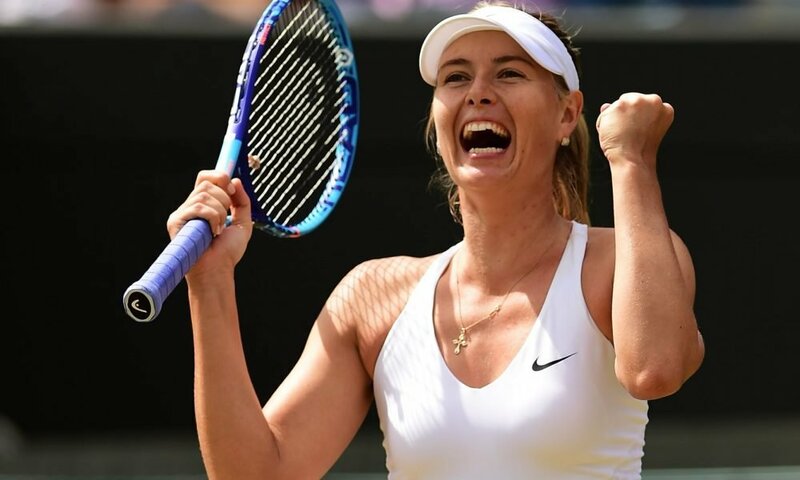 The tennis star’s beauty has even landed her endorsement deals with the likes of Avon, Nike, and Tiffany & Co.
Maria keeps her beauty routine simple and shares it with everyone so that others can also learn to achieve healthy skin. The secret is taking good care of her skin naturally because cosmetics are only secondary support to women. She doesn’t make use of makeup during professional matches or training. She also gets enough sleep, hydrates her skin, and wears sunscreen to keep her body healthy and beautiful. The tennis champion co-owns a skincare company, SuperGoop, and had used the products before she met the owner, Holly Thaggard. Maria has a no-nonsense diet which mainly consists of high-protein foods, but she occasionally allows herself to indulge in her cravings. She trains six times a week for six hours every day with her trainer, alongside sports massages to relieve stress and soreness in muscles.